It’s March, so Spring has sprung, the birds are singing in the trees, and that also means hordes of geeks get dressed up in costumes and descend on the N.E.C. for the first MCM Comic Con Birmingham of 2015! 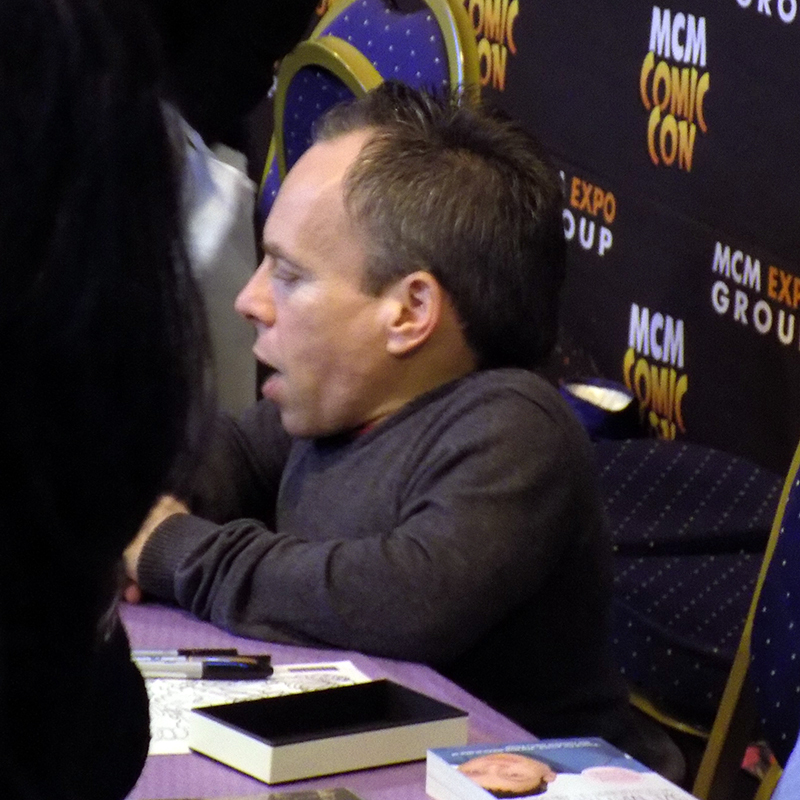 This year had some outstanding guests, including a trio from The Walking Dead, two of the stars from Sleepy Hollow, Colm Meaney from Star Trek and Hell on Wheels, Chris Gorham from Covert Affairs & Ugly Betty, and the ever wonderful Warwick Davis. I only caught a few little bits from the panels on the Saturday, partly due to traffic at the N.E.C. being insanely busy and partly due to being in the press room having chats with Neil Jackson (aka Sleepy Hollow’s Abraham aka The Headless Horsman), and Christian Serratos & Tyler James Williams (Rosita & Noah from The Walking Dead). I also got to watch a very excited and happy Colm Meaney when Ireland won in the Rugby! On Sunday however, I firmly entrenched myself in the front row of the Comic Con Theatre to catch all the action. You can see the Sleepy Hollow interview and Tom Mison’s panel here. The panel for The Walking Dead is here, and Colm Meaney’s panel is here. What would Comic Con be without the comics!… Well… a Con. 😉 It was good to catch up with a few of the people I met last time, including Steve Penfold with his wonderfully ridiculous Moon comic book, and the guys from Subversive were there again with Bearlands & Metal Made Flesh. I also picked up a copy of the now completed ‘Tabatha’ from Neil Gibson Comics. I read the first issue back in April last year, and it’s a great story about a mailman who’s using his job as a way to suss out affluent properties to steal from. Unfortunately for them, they try to rob the wrong house, and stumble across something very very disturbing… You can read the first issue online here. And of course, no Comic Con would be complete with out the cosplay. Once again, UK Garrison’s 501st were there are doing an epic job supporting the Star Wars fraternity as usual. Interesting fact, it turns out ‘Darth Vader’ went to the same school as Ichabod Crane (Tom Mison of Sleepy Hollow)! Below is a gallery of the various people I spotted whilst out and about the Con. A special shout really needs to go out to these 2. Harley and Joker. Haha, the picture of that fat Judge is so funny. He should’ve gone as a “Fattie” from MC1 rather than an overweight Judge. Harley is a lady called Tori, and it’s me photo-bombing them – the Judges also do group photo’s with the DC group, which always go down well.